Lunch & Learn at CBS following services featuring Michael Igel, President of the Florida Holocaust Museum. 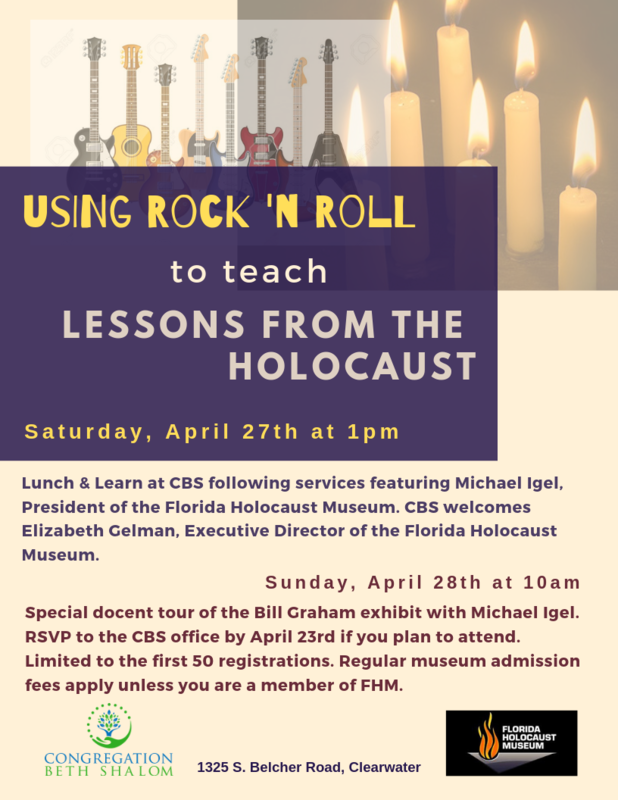 CBS welcomes Elizabeth Gelman, Executive Director of the Florida Holocaust Museum. Special docent tour of the Bill Graham exhibit with Michael Igel. RSVP to the CBS office by April 23rd if you plan to attend. Limited to the first 50 registrations. Regular museum admission fees apply unless you are a member of FHM.